If you're wondering “why is all of the fall bedding so boring and dark? can’t anyone design something colorful and happy for fall?” well, it looks like tracy reese did. 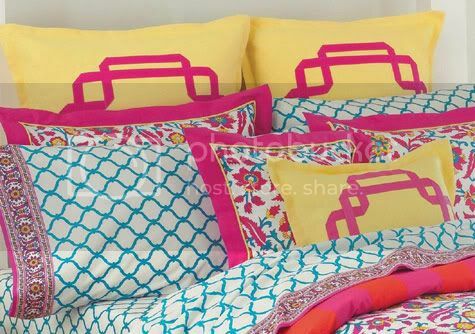 her saigon bedding for fall 2008 is a bold, colorful departure from the darker earth tones we typically see in winter months. so if you’re looking for something a little brighter this season, check out plenty home by tracy reese. a queen comforter set runs around $300 and you can find her bedding in the tracy reese shop in nyc or in anthropologie, starting in November.